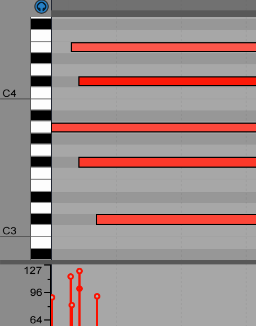 Did you know that Ableton Live makes it very easy to create chord progressions, even if you have zero knowledge of music theory? Even if you do have the knowledge, but are struggling to get an idea down, this technique will help you to write chord progressions very fast, and it’s all thanks to the Ableton Live midi effects that you have at your disposal (but may not have used much just yet). Step 1: Create a new midi clip in a midi track (you can do this in session view or arrangement view) and draw in some notes – for chord progressions, you may want to go with long, legato notes, or you may want to write a sequence of more rhythmical, staccato notes, depending on the mood of the song you want to write. 1st Midi Effect: Chord – this midi effect allows you to play additional notes that are a set distance (in number of semitones) away from the note being played in your piano roll. To create a minor triad chord, we need to add the minor third (3 semitones up from the note being played in the piano roll) and the perfect fifth (7 semitones up). You could also create seventh chords by moving one of the 6 available dials in this plugin up by 10 semitones. Another tip is to change another dial to -5 semitones (the perfect fifth going down the scale) and an octave below (-12 semitones) or two octaves below (-24) for extra thickness to your chord. Step 2: Drop an instance of the Chord midi effect before your instrument in the midi track. 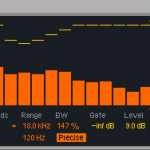 It is only possible to add these types of plugins in front of the instrument, so that they change the midi data going into the instrument, and thus change the audio coming out on that midi track. Pro Tip: For a more natural sounding chord progression, you can change the velocity (or volume level) of each note that the Chord plugin will produce, by adjusting the numeric value below each knob. Did you notice that some of the chords being produced are sounding slightly out of key? This is because within a scale, we have a range of different chord types – major chords, minor chords, diminished chords and augmented chords. We need to restrict each midi note to make sure that it is a note that fits within our scale. This is where the Scale plugin comes in. Step 3: In your Ableton file browser on the top left in arrangement view, click on midi effects, then click on the right pointing arrow next to the Scale Midi Effect to open it up and see all of the available presets. Find the one called C minor (if you want to work within the minor scale). 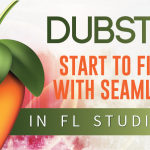 Drag and drop this after the Chord plugin but before the instrument in your midi track. In the video above, we are working in the key of F# minor, so where it says ‘base’ on the Scale Midi Effect, we need to change this from C to F#. Now we’re good to go! When you play the midi clip, you will hear a chord progression that stays within the minor key! You may notice that all of the notes are playing at the same value each time. This sounds quite unnatural, and even though we adjusted the velocities in our Chord Midi Effect, we are still experiencing some problems – for example, the note at +3 semitones is playing at 0.90 velocity every single time (as defined in the Chord midi effect). To add some randomness to the note velocities, we will use the Velocity midi effect. Step 4: Drag and drop the Velocity midi effect from your Ableton browser onto your midi track – after the scale plugin and before the instrument. (tip: there is actually a preset called ‘add some random’ when you open up the Velocity presets folder). 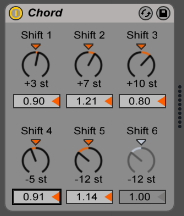 You can adjust the random knob to get the desired amount of randomness. That is it! We are all set. Everything is good, except one thing that is causing our chord progression to sound rather unnatural. This is the fact that each of the notes in every chord are being played at exactly the same point in time for each chord. When you think about how a real pianist or keyboard player would play, there would be very small distances between the start and end points of the notes. So how do we solve this? The solution is to record the midi data produced by our three midi effects in our first midi track into a new midi track, and then adjust the start and end points of each note in the sequence. To do this, we need to change some midi routing. 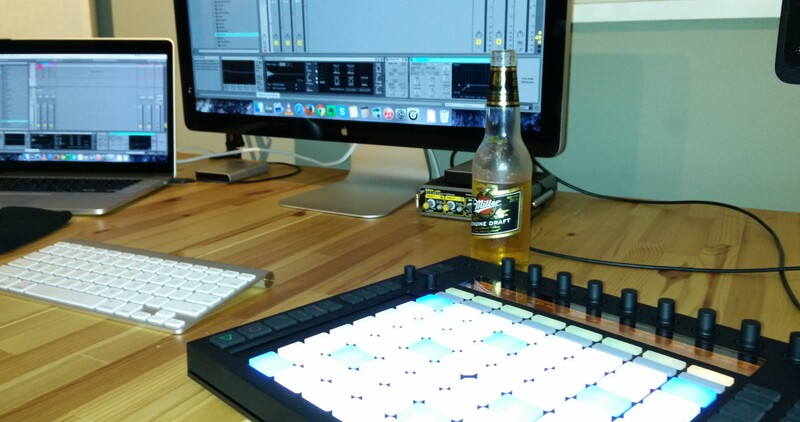 Step 5: Insert a midi track (shift, control T or shift cmd T on a Mac). Step 6: In the midi from chooser, select the input to be from the track that has the 3 midi effects on it, as shown in the image below. Step 7: We can now change the monitoring on our new midi track from ‘Auto’ to ‘in’. Step 8: Arm the new midi track by pressing its record button. Step 9: Press the record button to record the midi from our first track into this new midi track. 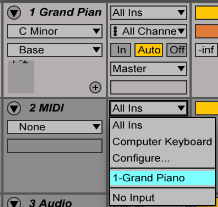 Step 10: Go into the new midi clip and you will see that we now have all of the notes in each chord. We can select all of these (cmd A / Ctrl A) and slightly shorten their lengths. Next, we can select individual notes and move their start points off the grid. It will be easiest to do this by pressing cmd 4 or ctrl 4 to deactivate the snap grid inside the midi clip. This will give a much more human feel to your chords, which is especially useful if you are creating a sound of a real instrument, like a piano, Rhodes keyboard or a string orchestra. So that’s it! If you enjoyed this article, you may be interested in our Electronic Music Composition course, which features 12 hours of content including 10 interviews with Haywyre, a producer signed to the mighty MonsterCat label, who is a classically trained pianist.